Posted by Christina Ruiz & filed under FlipSnack Reviews, Issuu Reviews. When you’re ready to turn your PDF (or your ideas) into a snazzy online magazine, you have two options: FlipSnack vs Issuu. While there are other flipbook makers on the web, these are two of the most popular but somehow these services did not satisfy me at all. After a long search, I came across a free alternative called Yumpu. It`s easy to use, and result in a polished, fun-to-read flipbook that you can share with your friends, family, and the entire world web. Click here to visit Yumpu.com. Both FlipSnack and Issuu allow you to drag and drop or select your PDF file to upload and convert to online flipbook format. One big perk of using FlipSnack is that you do not have to have a PDF – you can use the editor to create your flipbook from scratch using text, images and shapes. You can also edit your document after you upload it. When you upgrade your account, the Basic editor becomes a Premium editor, with a full range of templates and features. Issuu does not have an editor, so you’ll have to use a PDF creator separately to design your document before you upload it. When you use Issuu, you get unlimited publishing, even with free accounts. FlipSnack only allows free accounts to upload flipbooks of up to 15 pages, and you can only have three flipbooks published. Any paid account gives you plenty of space for uploading as much content as you want. Both Issuu and FlipSnack allow free accounts to embed page flip flipbooks on websites and blogs. Just open your flipbook online on the site and select embed, then copy and paste the code into the text of your website for your digital publishing. Regardless of which you use to embed page flip flipbook onto your website, you’ll get an interactive, easy to use reader that’s hard to miss. It’s more practical than linking to PDFs that fewer people will have time to download, and that require a PDF reader to enjoy. Instead, site visitors can read your content without getting backtracked. Both include watermarks with free accounts, though the FlipSnack version seems to load fastest for me. It’s also a bit larger, so the publication can be enjoyed with switching to full screen mode. If you’re looking to reach more readers, cross publishing your content on a site like Issuu or FlipSnack is a good choice. Issuu gets millions of visitors every month, while FlipSnack gets hundreds of thousands – so, in comparison, Issuu has a much larger audience of users and readers, and also have features that suggest similar content to help your publication get discovered. FlipSnack allows commenting and sharing options for premium users, and allows readers to download content from premium flipbooks. Issuu also has sharing, liking and downloading. On both, you can share using the site’s link, or by using sharing buttons. If you make a flipbook, you may decide to invest in a premium account at FlipSnack or Issuu. FlipSnack costs as low as $16/month when you choose to be billed annually, but this same plan costs twice as much if you don’t want to make a yearly commitment, and would rather be billed monthly. Issuu starts at $26/month, but you don’t get as many new features. The biggest Plus feature is the ad-free reader, which you can embed on your website so your visitors will have fewer distractions, and will be less tempted to wander. 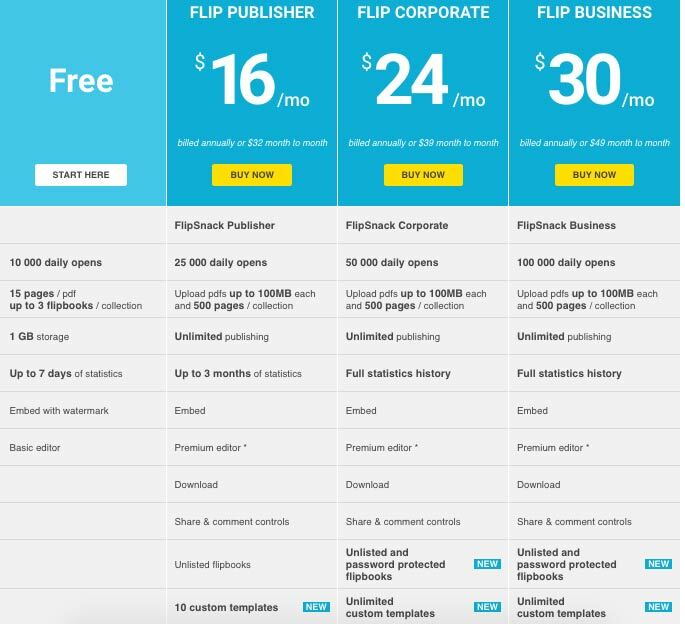 Keep in mind, Issuu’s free plan seem to have more value, allowing for unlimited publishing, while FlipSnack greatly limits free user’s publishing. FlipSnack’s premium accounts come with more features, including custom templates and a premium editor. So, if you don’t design your flipbooks with a PDF designer program, you may not be able to use Issuu, free or otherwise. 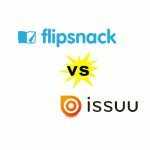 FlipSnack vs Issuu: Which Is Better? Overall, both create an impressive finished flipbook. They can be difficult to compare because of the many reasons you’ll have for creating and publishing content. If you just want to republish your content to a new audience, you can do with it Issuu. That way, you’ll get exposure to their millions of monthly users, and you won’t have to worry about upload limits, even if you have a free account. But if you would rather design your flipbook, magazines or catalogs from scratch, you can use the designer and templates from FlipSnack, even if you have no design background. All you have to do is drag and drop shapes, images and text to design a professional looking flipbook. Free accounts can use the Basic creator, while premium accounts have access to more templates and features. The overall Solution called Yumpu! Isn’t it better to work with Issuu as they reach millions of visitors? How many visitors are on the yumpi page every month? I’m not sure how many visitors are on the yumpu platform every month. But I am sure you can figure it out. Just write the support service of yumpu. They normally reply within a day. Is there anyone who tested the adfree plan of yumpu already? Can you tell me what’s the difference of the free version and the adfree version of Yumpu? The yumpu alternative sounds pretty sweet to me. I am curious and will test it. I will write about my experiences. Yumpu: Good quality and perfectly formatted. I prefer Flipsnack. There I can create my own design. 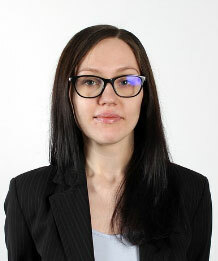 I have a question to the wordpress login of yumpu. Maybe you can help me with that. How can my magazine be read? Is Flash alright? Hey Timon, yes Flash works perfectly or HTML 5. I would be happy to hear from your experiences with either of those online publishing platforms. Thanks guys!